Although not related to Feng Shui directly, this quote is a good rule to live by; do you agree? Silence & smile are two powerful tools. Smile is the way to solve many problems & Silence is the way to avoid many problems. Although not related to Feng Shui directly, this quote is a good rule to live by; do you agree? 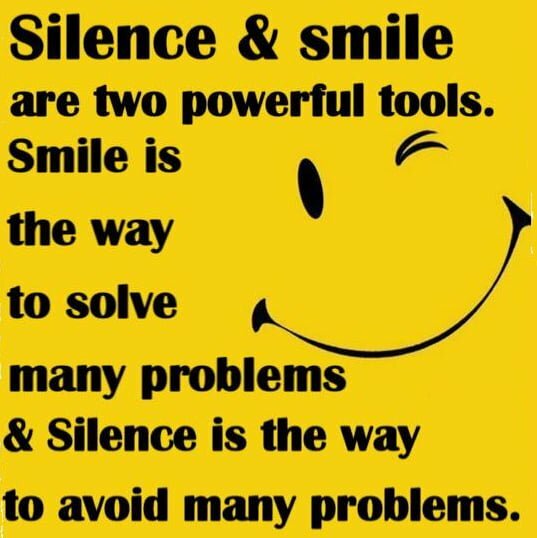 Silence & smile are two powerful tools. Smile is the way to solve many problems & Silence is the way to avoid many problems.